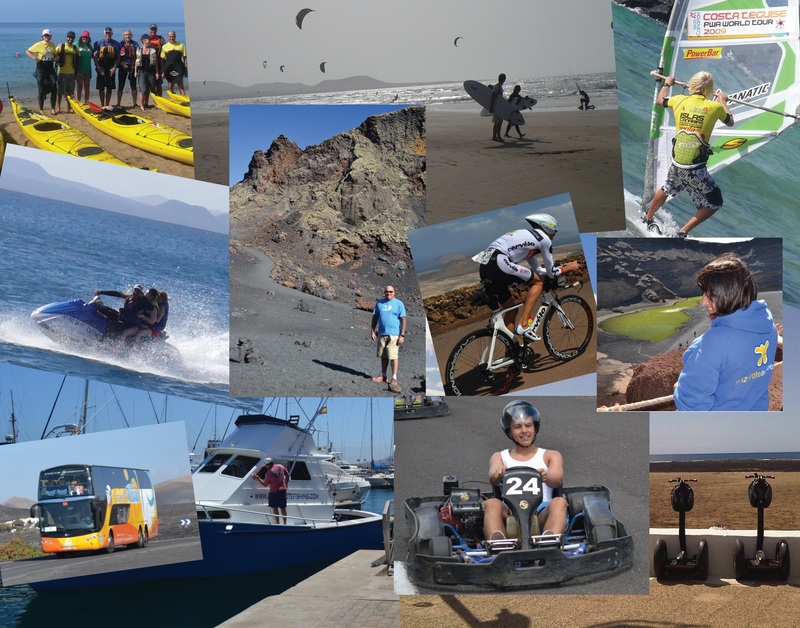 There are loads of diverse activities to enjoy in Lanzarote. Here is a selection of some things you can experience during your holiday. There are fishing boats moored in Puerto Calero and Marina Rubicón who will take a party or individuals out fishing. Methods include big game and light tackle fishing depending upon the time of year. Lanzarote has lovely temperate waters with incredible visibility. Experience divers can enjoy a range of dives in various locations around the island, the favourites are found in Charco del Palo and Puerto del Carmen. Why not book a try dive whilst you’re here and see for yourself! There aren’t many places in the world where you can dive 30m on a yellow submarine, Lanzarote is one of them. The submarine dives several times a day from the marina in Puerto Calero where you can discover shipwrecks and sealife without getting wet. Lanzarote is nicknamed the Hawaii of Europe for good reason, the 6-Star Prime Santa Pro event is held here each November. If you love surfing then Famara beach is the spot to enjoy hours of surfing or take lessons. Lanzarote has a choice of kayaking activities ranging from taking a surf kayak out from the beach or organised tours of the coast in enclosed kayaks. A lovely way to discover the hidden beaches of Lanzarote. There is jet ski hire available in the resorts of Puerto del Carmen and Playa Blanca. Kite surfing is allowed on a couple of designated beaches in Lanzarote, the main one is Playa de Famara where lessons are also available. Lanzarote is the last stop before crossing the Atlantic and a popular place for sailing. There are yachts available for private hire with crew or bareboat charter if you’re a competent sailor. You can also join a sailing excursion to discover Lanzarote from the sea, with a chance of spotting dolphins & pilot whales. Costa Teguise is famous for windsurfing activities, Playa Las Cucharas is the beach to head for. This resort is slightly windier than the others and the sea is dotted with colourful sails in the afternoons. The PWA Freestyle event is held here each June. Playa Blanca is ideal for enjoying Stand Up Paddle in Lanzarote, lessons are held on the town beach and excursions offered along the coast to Papagayo. Lanzarote has lots of paths all across the island. Walking is a great way to discover the wildlife, find those hidden views and meet the locals. There are lots of signposts and notice boards pointing you in the direction of paths. Lanzarote has a fantastic kart track, on the hill at San Bartolomé, with two tracks and a big choice of different karts to drive, including two seaters and twin engined pro karts. There are both road and mountain style bikes available for hire in Lanzarote. The island is popular with road cyclists having little traffic and some stunning roads but we also have 206km of mountain bike routes around the island. Take a Segway tour along the coast of Lanzarote, these machines are a fun way to explore the island for anyone aged 14 or older. There are different companies in each of the resorts offering Segway excursions. Exploring Lanzarote by Quad bike or buggy is exhilarating, taking off road tracks to find some out of the way places. It’s possible for children to ride as passengers so something couples, friends or families can do together. Some of the hotels offer archery lessons and competitions as part of their activities but if not you can join in with a local Tiro de Arco club in Macher in the centre of Lanzarote. There is a model plane runway next to the Complejo at Teguise but our weather offers hours of fun with gliders if you can fit one in your suitcase! Lanzarote is often described as inspiring, encouraging people to put pencil or paintbrush to paper. Some of our local artists offer classes to visitors including field trips into the landscape with easels. Discover the beautiful National Park of Timanfaya National with a short camel trek through the volcanic landscape. There are two places for paintballing in Lanzarote. There is a hillside course at Lanzarote a Caballo near Uga, the other is an urban style course situated next to the Aquapark in Costa Teguise. Lanzarote currently has two golf courses. The original course is situated in Costa Teguise, the newer one is on the hillside overlooking Puerto del Carmen. The Campo de Tiro is situated in Tahiche, not one for general tourists as only Spanish but if you enjoy this sport you will be welcomed. There are a number of skate boarding parks around the island. The main one is situated just to the side of the beach Playa Reducto in Arrecife, here skateboarders and BMX kids take to the ramps. Others to mention are a half pipe at Arrieta beach, Playa La Garita and a skate board park opposite Lanzarote Bay hotel in Costa Teguise. You should have a Licencia de Pesca Marítima de Recreo (fishing license) to fish in Lanzarote although many fishermen have said they have not been asked to show a license whilst fishing here. Popular places to fish are Playa Dorada in Playa Blanca, Playa Chica in Puerto del Carmen and Playa Bastian in Costa Teguise. Conditions are right in the winter months from November to March for paragliding and hang gliding. 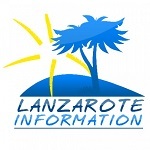 Many clubs come from around Europe to enjoy the warm climate in Lanzarote.